Are you in your 30's or 40's and looking for a full-time MBA program? Learn more about three programs that offer just that: MIT Sloan Fellows, Stanford MSx and USC Marshall IBEAR. Home > EMBA > EMBA: Full-time, 1-year Executive MBA Programs. Stats, Deadlines & Quick Comparison. MIT Sloan, Sloan Fellows Program. Many of the professionals I speak with in their 30’s and early 40’s are at a crossroad in their lives and in their careers. Sometimes they’ve aged-out of a traditional, full-time MBA but still want the immersive experience that a traditional program provides. Other times they just don’t need the benefit of the internship and full-time recruiting that comes with a two-year program. You may be in a similar position. A full-time, one-year executive MBA is a great fit when you’re looking to take a year off work, clear your mind and re-calibrate or reinvent your career. Given the demand, I’m often surprised that there aren’t more of these programs available. Today I’m going to cover the only full-time EMBA programs that I am aware of: Sloan Fellows at MIT, MSx at Stanford and the iBear MBA at USC Marshall. International students in these full-time programs are issued a student visa which grants them the ability to work in the U.S. for 12 months after graduating and participate in the H1B visa lottery. The visa advantage + program prestige mean that Americans (people who grew up and completed their undergrad in the U.S.) make up a relatively small percentage of the student body: approximately 15/109 at MIT, 9/78 at Stanford. If you’re an American citizen or permanent resident and want the full-time EMBA format, then these programs are for you. The trade-off is that because most of your classmates will be international, the network you develop at school might be more international than domestic. Note: traditional (part-time) EMBA programs in the U.S. are 95% U.S. citizens and residents. Stanford MSx Average Age: 36. Minimum Years of Work Experience: 8. 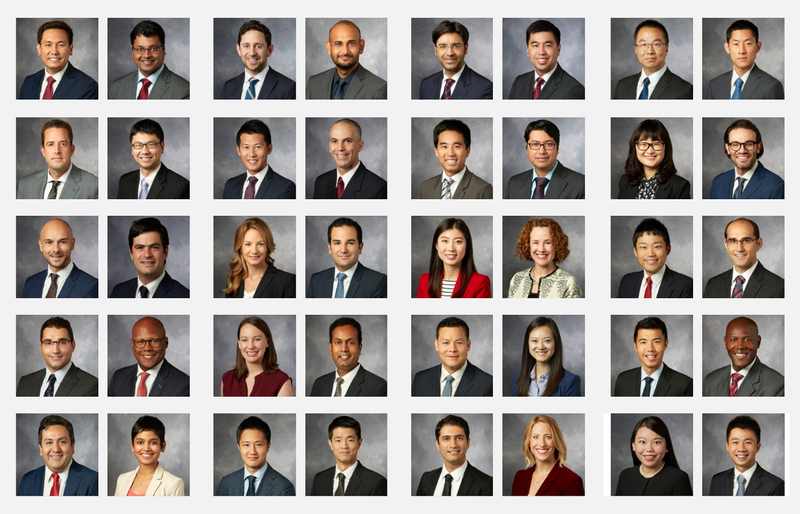 MIT Sloan Fellows Average Age: 38. Minimum Years of Work Experience: 10. Beyond the Sloan programs, there is one other 1-year, full-time MBA programs available to older applicants: USC Marshall’s IBEAR program. USC Marshall’s IBEAR Average Age: 36. Minimum years of work experience: 6. 1-year MBAs: There are a number of 1-year MBA programs that mid-career candidates ask about: Kellogg’s 1-year MBA, Columbia’s J-Term MBA, Cornell Johnson’s 1-year Tech MBA etc. Essentially these 1-year programs are geared for the same cohort as traditional 2-year MBA programs. There is no significant difference in the class profile of 1-year and 2-year MBAs (Average Age: around 26-28; Average Work Experience: 5-6 years). If you have 7 or more years of work experience your chances of being admitted to a traditional 1-year program are quite low. The table below gives you a snapshot of all four programs. It’s best viewed on a laptop or tablet. Stanford has really cool on-campus housing for families (it’s like a little grad school village). It is a ready-made support group for partners and children that makes the entire year a much better experience. Sloan does have a lot of off-campus housing close to campus (100 Memorial Dr, Cambridge, MA 02142 is a popular building). Palo Alto has a few bars, but not much of a night life scene. If you want parties, you have to drive to San Francisco (~40 mins) or fly to Las Vegas (~1 hr). In contrast, MIT has everything Boston has to offer on its doorstep. Although the schools don’t release these numbers, MIT Sloan seems to have a larger percentage of employer-sponsored students (a few of whom consistently hail from the same employers, like, the U.S. Post Office). About 45% of MIT Sloan students are sponsored by their employers (compared to about 30% of MSx students). 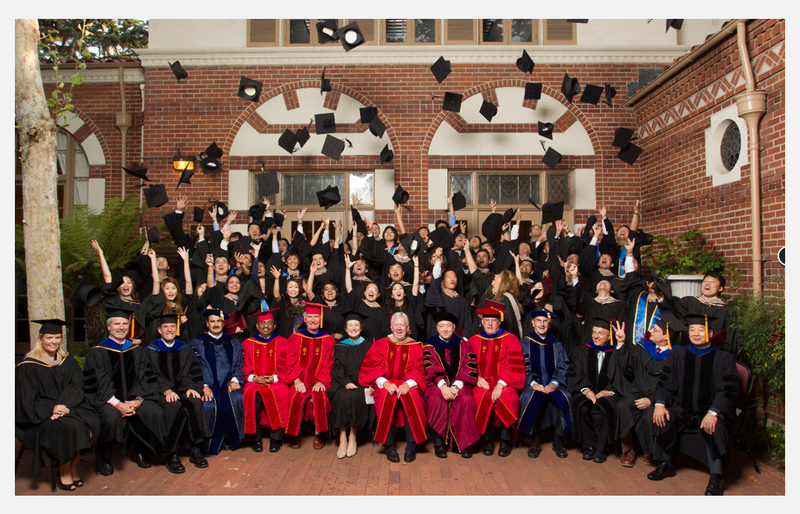 Stanford offers a Masters of Science. MIT let’s you choose between an MBA or MS degree although you need to complete an additional thesis to get the MS. Which is better? The answer is: at this juncture in your career, it probably doesn’t matter. MSx offers electives from Stanford’s MBA program, as well as classes from the school of engineering and the design school, among others. At MIT, in additional to MBA electives and any graduate-level course throughout the university, students can take classes at Harvard/Harvard Business School. The MIT Sloan Fellows program is a global leadership development program. Sloan’s 12-month, full-time executive MBA program designed to prepare an elite group of global mid-career managers who want to magnify their impact as leaders. Sloan Fellows are generally not career switchers – the program is best suited to people who plan to stay in their company, industry or functional role after leaving MIT. In fact, adcom members emphasize that while a little career pivot (grounded in past experience) is ok, the Sloan Fellows program cannot meet the needs of people looking to make a major change in their career (Example: IT Consultant who wants to work in finance). Sloan Fellows is a family-friendly cohort. 80% of students are married and many have kids. Students (and their families) live on or near campus. MIT Sloan’s Fellows Program attracts students from Global 500 companies as well as experienced entrepreneurs and professionals from more diverse industries. While the average age of a MIT Sloan Fellow is 38 years old, students range in age from 31-52. Sloan Fellows have 14 years of work experience on average and range fro 10-28 years of work experience. To apply to the MIT Sloan Fellows program, applicants need a minimum of 10 years of work experience. The admissions committee will consider applicants with 8 years or more of work experience if they have an incredibly strong career trajectory and professional narrative. Around 45% of students have corporate sponsorship and return to their employers after graduating. 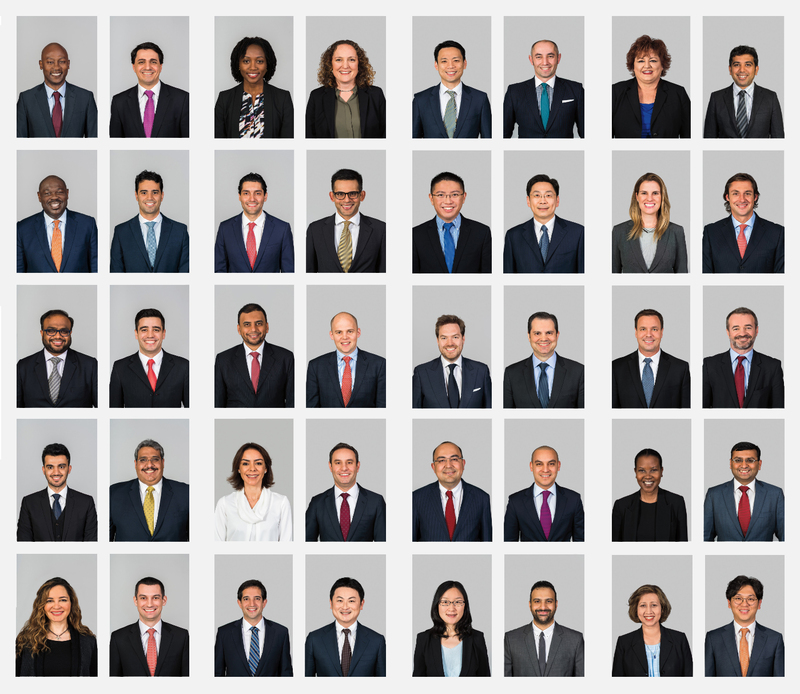 According to Sloan, the Sloan Fellows program prepares outstanding executives with the critical skills to create and lead visionary organizations in the 21st century – yet these students accept that they are still a work in progress (have room for personal and professional growth). When I write a Sloan Fellows application for a client, I look to emphasize the following three points: 1) impact within their organization; 2) leading progressively larger teams/more important deliverables; 3) steady career progression. The program delivers an MBA (students can opt for a MS instead if they are willing to submit a graduate thesis). No matter the degree, the MIT brand name combined with the quality of network you’ll build makes this one of the best EMBA programs around. The core curriculum is a step beyond what you would find in a typical MBA program, and a bit more advanced than the Stanford MSx curriculum. Although the Sloan Fellows do have typical core courses in Finance and Marketing etc., the academics are geared to push leaders to the next level (not to give them a basic business education). Courses like System Dynamics, Managing Supply Networks, Innovation Driven Advantage and Leadership Seminars are unique to Sloan. To give you a better sense of what I mean, for regular Sloan MBAs these courses are optional, for Sloan Fellows they’re obligatory. The MIT Sloan Fellows Program is that rare chance in modern life to take a deep breath. To get your bearings and map your future. To build your skills and your global leadership network and define your place in the world. It’s the time and space to craft powerful solutions and investigate the intersecting realms of leadership and innovation. The MIT Sloan Fellows Program is designed to be the most profound—and the most productive—year of your life. Many fellows enter the program because they want access to the best thinkers of our day—in biotech and high tech, in state-of-the-art media and political science, and, of course, in economics and management. A couple other neat features of the MIT Sloan Fellows program include your personal 360 leadership assessment at the beginning of the program and MIT’s unique Independent Activities Period (IAP) during the entire month of January. Deadlines: Round 1) October 9, 2018 – Round 1 Decision Notification) December 17, 2018. Round 2) December 10, 2018 – Round 2 Decision Notification) February 14, 2019. Round 3) February 12, 2019 – Round 3 Decision Notification) March 29, 2019.
International applicants (people who don’t have U.S. citizenship or a Greencard) are encouraged to apply in R1 or R2. COVER LETTER: Please submit a cover letter seeking a place in the MIT Sloan Fellows MBA program. Please share your short and long-term professional objectives and how the MIT Sloan Fellows MBA program will help you to achieve them. Your letter should conform to a standard business correspondence, include one or more examples that illustrate why you meet the desired criteria and be addressed ‘Dear Admissions Committee’ (500 words or fewer). ESSAY: Please tell us about a time you were recently on a team which had competing priorities. What challenges did you face, how did you approach the challenges, and what did you learn from this experience? (500 words or fewer). VIDEO STATEMENT: Please introduce yourself via a brief 60 second video statement. (This video will be used for application purposes only and will not be shared). Videos should be a single take (no editing) lasting no more than one minute and consisting of you speaking directly to the camera. We recommend using an application such as QuickTime or iMovie to record yourself. Led teams to design and implement technology platforms and digital strategies for Fortune 500 clients. Led strategic consulting and technology integration into education; managed international growth; built transformative programs in partnership with corporations, NGOs, and governments. Led the finance, treasury, and procurement areas in Latin America within the remittance and payments industry; implemented innovative solutions for revenue growth and margin improvements. The Stanford MSx Program is a 12-month residential experience for mid to executive-level managers. MSx participants are generally not career switchers (although career switchers make up a certain percentage of any cohort) – the program is best suited to people who plan to stay in their company, industry or functional role after leaving Stanford. Stanford’s MSx program is also known as the Master of Science in Management for Experienced Leaders. The name is a fitting one in that the program attracts students from Global 500 companies, experienced entrepreneurs and professionals from more diverse industries. While the average age is 36 years old, students range in age from 32-47. Applicants need a minimum of 8 years of work experience to apply to MSx. While the average age in the Stanford MSx program is 36 years old, students range in age from 32-47. Stanford MSx students have 12 years of work experience on average and range from 8-23 years of work experience. To apply to the Stanford MSx program, applicants need a minimum of 8 years of work experience. Around 45% of MSx students have corporate sponsorship and return to their employers after graduating. Even though the MSx program delivers a MS instead of an MBA, the MSx has always been the equivalent of an EMBA at Stanford (which reserves the MBA degree exclusively for its full-time program). Stanford is looking for students who have ‘made the most of the professional opportunities’ that have presented themselves. If you’re trying to figure out whether you have what it takes for the MSx program, consider what Stanford says about who you should choose as a recommender. Know you well and can provide details and examples that support their assertions. Is a C-Suite or top-level executive, who make the most significant decisions regarding a company’s direction. If you feel that you’re able to solicit recommendations that meet the above criteria – then you’re probably a strong candidate for MSx. The core curriculum is essentially what you’d find at a traditional 2-year MBA program with fundamental topics in accounting, finance, strategy, data analysis etc. Students can tailor their academic experience through electives at the business school or from Stanford’s wider campus. You could walk through the door at Stanford without any formal business education and not have any issues keeping up with the coursework. We are looking for ambitious individuals with a demonstrated record of accomplishment, intellectual vitality, and clarity of focus. Each brings his or her distinct perspective and experience to both classroom and informal discussions, which enriches the learning for their peers. Fellows choose the program to gain deep knowledge of the art and science of leadership in a concentrated, energetic environment. And, they commit to a full-time residential experience that closes the door on distractions and enables them to focus on learning. Student life is unique. Fellows live on or near campus, creating a challenging intellectual community that thrives long after the year is over. Because most Fellows are already established in both their careers and their lives, their partners and families often come to campus with them, and are an integral part of the MSx community, as well. The next Stanford MSx program begins in early July 2019. Deadlines: Round 1) September 18, 2018 – Round 1 Decision Notification) early December 2018. Round 2) January 10, 2019 – Round 2 Decision Notification) late March 2019. Round 3) March 13, 2019 – Round 3 Decision Notification) mid April 2019.
International applicants (people who don’t have U.S. citizenship or a Greencard) are encouraged to apply in R1 or R2. If you want to submit a dual application to both the MBA and MSx program, you must apply in R1 or R2. ESSAY A:What matters most to you, and why? ESSAY B: Why this program now? What are your personal and professional objectives, and how will the Stanford MSx Program help you achieve them? Catherine has nearly 10 years of experience consulting in the life sciences industry. Most recently, she was an engagement manager with IMS Consulting Group, a global life-sciences consultancy. Catherine was a senior member of the Strategy & Portfolio Analysis Center of Excellence, responsible for designing, selling, and managing strategy engagements and leading global, cross-functional teams. Working in the areas of pharmaceuticals, biotech, and financial services, Catherine advised clients ranging from Big Pharma, to entrepreneurial firms preparing their first launch, to private equity companies seeking health care investments. She has focused on corporate strategy, due diligence, M&A, forecasting and valuation, life-cycle management, portfolio optimization, and new-market entry strategy. Saurabh is a multidisciplinary consumer goods and retail executive. Before coming to Stanford GSB, he was responsible for the Pepsi Lipton JV business for India, including development and delivery of the annual operating plan and profit and loss statements. In his earlier role with PepsiCo, he led one of the largest organized trade and premium go-to-market sales operations in India. Previously, Saurabh was a founding member of the private-label department at Aditya Birla Retail. He was instrumental in developing strategy, established key processes, and spearheaded the launch of 100-plus product lines. Saurabh started his career with United Spirits as brand manager for Black Dog Scotch. He was involved in managing literacy campaigns while working with a nonprofit, The Oceanic Group. The International Business Education and Research MBA or IBEAR MBA, is a one-year, accelerated, full time, international MBA program designed for mid-career professionals being groomed to assume senior global positions. Students (and their families) live on or near campus. IBEAR students are very different than those attending a traditional two-year MBA program. Students tend to be multi-lingual and demonstrate a strong understanding of international business and culture. Being significantly more experienced than a traditional two- year MBA student, the typical IBEAR participant seeks to re-enter the job market at a more senior level upon completion of their diploma. While doing a career 360 probably isn’t the norm among IBEAR students, many will join a new employer post-graduation (rather than return to their former employer). While the average age of a IBEAR student is 36 years old, students range in age from 29-48. Sloan Fellows have 12 years of work experience on average and range fro 6-25 years of work experience. To apply to the USC Marshall IBEAR program, applicants need a minimum of 6 years of work experience. IBEAR delivers an MBA degree to participants. Overall, IBEAR admissions is less competitive than Sloan Fellows or the MSx program. The IBEAR curriculum is on par with what you’d find at a typical 2-year MBA although certain courses have a more international leaning like the International Business Consulting Project and International Trade and Finance. There are plenty of courses in the curriculum which are optional – giving students the opportunity to tailor the MBA experience to their liking. One highlight of the program includes time spent overseas working on a consulting project. At IBEAR, small teams of 4-5 IBEAR participants with diverse language, culture, industry and functional skills work together for 41/2 months to solve a pressing global business issue for a client. International travel for research is a vital part of this engagement. Deadlines: Although the adcom publishes deadlines, they actually use a rolling admissions policy. Applications usually begin in November and continue until April 20th or until the class is full. Example: If you’re applying for the program starting in July 2017, the earliest you can submit an application is November 2016. Deadlines: Round 1) October 15, 2018 – Round 1 Decision Notification) December 31, 2018. Round 2) January 5, 2019 – Round 2 Decision Notification) March 15, 2019. Round 3) March 15, 2019 – Round 3 Decision Notification) April 15, 2019.
International applicants should submit their application as early as possible. A decision is rendered approximately two weeks after the candidate completes his/her interview. ESSAY 1: Please discuss your near-term and long-term career goals. Explain why the internationally-focused IBEAR MBA Program is going to help you achieve those goals (not to exceed 500 words). ESSAY 2: Please tell us something about yourself that you feel will strengthen your application (not to exceed 500 words). Enrolling in the IBEAR MBA program proved a perfect fit for Rommy, who parlayed an undergraduate degree in investment and economics into a successful career in finance, but wanted to take her managerial skills to the next level. At Citibank China and UBS, Rommy had distinguished herself as a top performer in the field of wealth management, working her way up the ranks and winning recognition from key industry players. As her responsibilities increased, however, so, too, did the challenges; the IBEAR MBA provided the solution, expanding her knowledge, honing her abilities and enhancing her career development. “I’ve always worked for multinational banks,” she says, “and my family is international, as well. So at Marshall, which has students with such different backgrounds, I fit right in.” With her MBA in hand, Rommy plans to return to Asia to explore new opportunities in China’s emerging market for private wealth management.